Overview: The sounds of Bluegrass echoes through the mountains and valleys as people wander through the venues enjoying the sights and sounds. Part of the fun is the showcasing of nearly twenty-five microbreweries which demonstrate their ability to blend hops and barley into great brews. Details: Concerts take place Saturday and Sunday with a beer garden, food and festival events in between. Find more details on the Keystone Festivals website. 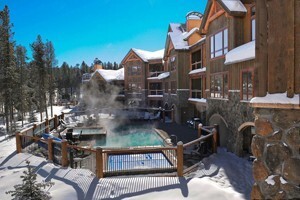 Blue Sky Breckenridge: Elegance & Location!